First off, let me say that I'm sorry for not posting in a while. I have a book project that I've been working on and deadlines are coming up. I hope to post on a semi-regular basis between now and July, fingers crossed. 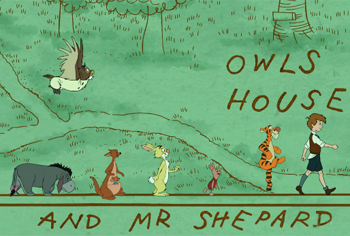 I am really looking forward to the upcoming Winnie the Pooh movie this summer. As a fan of the traditional style of animation, plus the original Pooh shorts, the previews that I've seen have been a great tease. As with most of these sequels, I fully expected to hear a cover of the title song on the film's soundtrack. Sure enough, a nice cover is brought to us by ZOOEY DESCHANEL and M. WARD. Deschanel may be the more familiar of the duo, thanks to he film roles such as Elf and (500) Days of Summer, but together with M. Ward, they form the folk-pop duo SHE & HIM. The pair met on the set of The Go-Getter which happened to star Zooey. The two found a comparable taste in music, and having heard her sing in Elf, Ward suggested they get together and record a few of her original songs. They have released two albums and even tour sporadically when Deschanel is not shooting a movie. While not billed as She & Him, the pair contribute a few songs to the movie, including this cover which Zooey sings pretty conservatively. She has a great voice and I would have liked to hear her own it a bit more. So Long, the original song they wrote for the film, is really great. The soundtrack album is supposed to arrive this Tuesday (April 11), but there is no listing that I can find on Amazon. Last week here in Vancouver, we celebrated the one-year anniversary of the Winter Olympic Games that were held in our city last February. People flooded the streets of downtown Vancouver and relived the excitement and national pride that we experienced during the games. It was during the games that sixteen year old Canadian singer NIKKI YANOFSKI found international fame as the singer of the Games' theme song, I Believe. Up until that time, Yanofski had already accomplished more than your average recording artist. She recorded a song for High School Musical 2, and her first full-length album, released in 2008 earned her two Juno Awards (think Canadian Grammy Awards) for New Artist of the Year and Vocal Jazz Album of the Year. 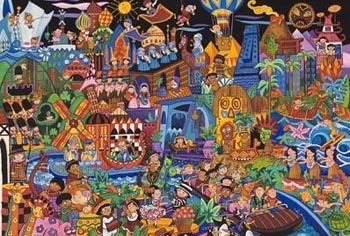 This past Tuesday, Disney released a new cover album, EVERYBODY WANTS TO BE A CAT: DISNEY JAZZ, VOLUME 1 , which includes a version of It's a Small World by Yanofski, a fitting song for someone who saw the world come together in one city! This version of It's a Small World is an fun, upbeat big band number that will have you tapping your toes the whole way through! Ayumi Hamasaki decided that she would peruse a life of music at the age of fourteen. She was taken under the wing of Avex CEO Max Matsuura who began recording pop singles that did fairly well in the Japanese market. Her first full-length album was released in 1998 and it solidified her as a Japanese pop star. Fast forward twelve years and Ayumi has a dozen albums, two dozen remix and compilation albums to her name! Her styles range from pop to RnB to rock to dance which make her accessible in many different markets. When her sales started to decline in the mid-2000s, she looked to the surrounding countries for a new audience. However, there was already a large foreign fanbase who eagerly welcomed her tour to their countries, selling out every show she performed! In 2002 Ayumi recorded Some Day My Prince Will Come to help promote the rerelease of Snow White and the Seven Dwarfs in Japan. The song was never sold as a single. It's very short, less than two minutes, and the intro takes up almost half of the track! But the pop/rock arrangement is quite good, as is Ayumi's English singing. The song fades out just as it picks up, making me wonder if there is a full-length version floating around out there somewhere. Daniel Offer, when not writing, manages the FB Chat application "Chit Chat for Facebook." Chit Chat, the popular FB Chat software, makes it possible to send Facebook messages from ones computer desktop. Beauty and the Beast received quite a bit of attention in 1992, when it was the first animated film to ever be nominated for Best Picture at the Academy Awards. At the time of its release, the film made more than $403 million in box office sales and won a number of Golden Globes, Academy Awards, and Grammys - many for the movie's soundtrack. 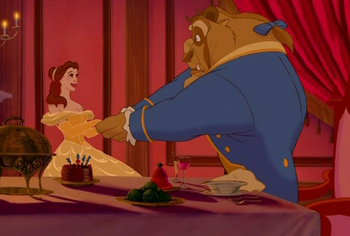 The original version of Beauty and the Beast in the film took home the Golden Globe for Best Original Song, was nominated for Song of the Year at the Grammys, and won Best Song Written Specifically for a Motion Picture or for Television. As a music-oriented film, which has since been adapted into a highly successful Broadway musical, it's no wonder the soundtrack, and more specifically, the title song, has been covered time and time again. With the film and score's widespread popularity and success, it seems only natural Disney would select a popular young artist like JORDIN SPARKS to record a modern cover. The film was released on Blu-ray for the first time in early October, and is currently listed as the number one modern classic available in Blu-ray on Disney's website. Sparks' cover of the famous title song and her music video are featured on the Diamond Edition Blu-ray as an extra. Sparks has performed the song a few times publicly: most notably, at the opening of the new Disney Store in New York City in early November. Sparks does an amazing job vocally, and in that respect the cover stays true to the original Celine Dion/Peabo Bryson version. However, the accompanying music is rather electronic sounding, carrying much more of a 'young' sound to it. Sadly, the music overpowers Sparks' performance at some points. The biggest issue seems to be the attempt to modernize the music, but keep the vocals true to the original version. The result is an odd mash-up that sounds more like a remix than a cover. The music sounds like a Sparks song: upbeat and filled with traditional pop notes. However, the discord between the notes and vocals leaves the cover lacking the romantic feeling that the Dion/Bryson version carried. While the original song is touted as a popular love balled, Sparks' cover is much more fast paced and upbeat. It sounds more like a pop song one would hear on the Disney channel than one that could go down in history as a popular love song. The Dion/Bryson version became a hit, reaching the Top Ten charts in both the United States and United Kingdom. While it's unlikely Sparks' version will reach the same success, the singer is already widely successful on her own. At just 17, Sparks received international acclaim when she won Season Six of American Idol. Since then, she's won a number of awards and many of her singles have hit the Top Ten. 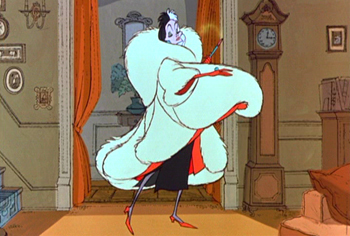 D. Offer writes about Cruella de Vil. Offer operates Chit Chat, a Facebook chat client that enables you to chat on Facebook without a web-browser. 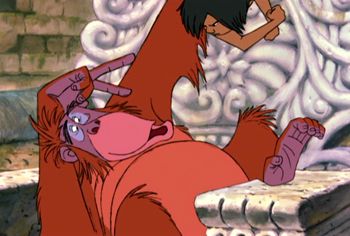 There was a time that Disney songs were considered to be about as far from hip as possible. At least that's what I thought as a teenager in 1988, before I heard the tribute album STAY AWAKE: VARIOUS INTERPRETATIONS OF MUSIC FROM VINTAGE DISNEY FILMS . It was clear from the opening medley that this was far afield from the middle-of-the-road songs I had associated with Disney music in the past. Any collection of songs featuring Bill Frisell, Michael Stipe, Natalie Merchant and Los Lobos immediately grabbed my attention. However, there was one track which intrigued me more than any other song and I immediately skipped ahead to it. This was Cruella de Vil from the movie 101 Dalmatians as performed by the seminal indie-rock group THE REPLACEMENTS. It was a peculiar collision of song, movie and artist: The Replacements were my all-time favorite group of all-time, especially since I had discovered them the previous summer, and 101 Dalmatians was my favorite Disney movie as a child. In situations like this, the potential for expectations to go unfulfilled are usually high. This was especially true with the Replacements, who had a reputation for accidental brilliance or, depending on their mood, total indifference to quality. Their live shows were legendary, sometimes for all the wrong reasons. On a good day, the Minneapolis quartet could put on an electric show; on a bad day, a Replacements show was a drunken mess, collapsing into half-finished songs, half-baked cover versions and usually a screaming match between band members for good measure. So the Replacements had a well-earned reputation for being the ultimate “hit-or-miss” band; therefore, it was with gritted teeth and a healthy dose of trepidation that I pushed play and prepared to hear if they would rise to the occasion or make a complete mess of things. It turns out that I didn't need to worry. As he did with pretty much every artist on the album, producer Hal Wilner was able to coax the best out of the Replacements; most importantly, he was able to retain the core essence of each song while letting the bands find a comfortable place to make a song their own. There's little doubt that the Replacements did that with Cruella de Vil. In the movie, the song serves as an introduction to the film's antagonist, and it matches her cosmopolitan temperament with a jazzy swing perfect for any supper club. This is the exact opposite of the Replacements' aesthetic; even though they had matured from their punk rock days of the early 1980s, the band's lead singer and songwriter Paul Westerberg was still interested in exploring the rougher edges of life; their most-recent album in 1988, entitled PLEASED TO MEET ME included songs such as Red Red Wine and I Don't Know. It is to Wilner's credit that he recognized the strengths of the Replacements and played to them rather than trying to shoehorn them into the song. The Replacements turned a slick song into something gritty, emphasizing the ugliness underneath the character's grand exterior. Westerberg finds a solid guitar hook from the beginning and doesn't let go, using this as the focal point musically. It's rough around the edges but never needlessly noisy. In short, it's a perfectly post-punk take on a Disney classic. Rock versions of Disney classics have become common today; that certainly wasn't the case in 1988 when STAY AWAKE: VARIOUS INTERPRETATIONS OF MUSIC FROM VINTAGE DISNEY FILMS was released. 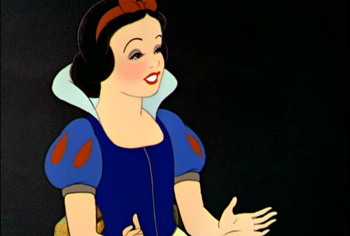 Cruella de Vil remains a standout track more than two decades later, showing that Disney songs could rock. It's a template that has been attempted by many bands over the years, but never with the same raw energy that the Replacements had in their version. You may not believe it, but there are actually a lot of a cappella groups out there! None of them seem to get radio play, but if you dig around you'll find them. I was digging around and found SONS OF PITCHES, a New York based singing group that unfortunately no longer exists. during the decade they were together they release three albums. Their second album, WITH A "P" , from 2002, contains a track suitable for this site: Kiss the Girl from The Little Mermaid. Rather than giving this track a serious treatment, Sons of Pitches has found a humorous way to make their version memorable. This humour is mainly provided by the back-up vocalists who sing funny lines and even squawk like birds! You'll be in for a surprise once you hit the middle of the song! Enjoy! NIKKI BLONSKI was an unknown actor before she landed the role of Tracy Turnblad in the 2007 Hairspray remake. The role launched her to stardom, however it seems like she is now being typecast in roles that have her dealing with her self image. I'm not sure if that is her choice, but I've noticed the pattern with the TV movie Queen Sized and the short-lived TV series Huge. Although Blonski isn't labeled a Disney Channel star, she appears on DISNEYMANIA 6 singing A Dream is a Wish Your Heart Makes. Nikki has a beautiful voice and this particular arrangement of the Cinderella classic is surprisingly good and not at the same level of cheese as a typical DISNEYMAINA cover. The name Marley is synonymous with reggae music, but it's not just Bob, but also several of his relatives, including his wife and back-up singer, Rita, and their children, Ziggy, Stephen, Sharon and Cedella who all sing together as part of the group Ziggy Marley and the Melody Makers. While CEDELLA MARLEY is not touring with the Melody Makers, she is the CEO of Tuff Gong International, a recording studio and record production company, and produces a line of women's clothing called Catch a Fire Clothing, named after one of Bob Marley's albums. But she still has time to recorded a few tracks here and there, including this version of Can You Feel the Love Tonight which she contributed to the excellent reggae Disney tribute, DISNEY REGGAE CLUB . 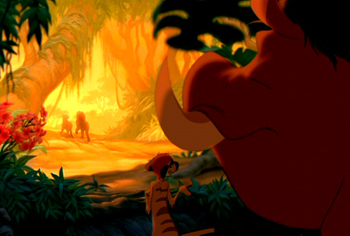 Timon and Pumbaa's life philosophy fits so well with the reggae culture, so it makes sense to hear a few Lion King sings pop up on this album. 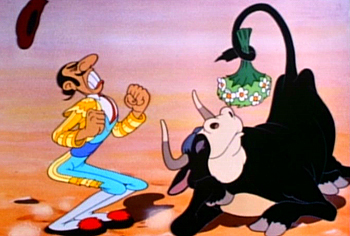 Here's a cool version of Ferdinand the Bull by a group I can find no information on, THE DIXIELAND SWINGERS. Have any of you heard of these people? Today's cover comes from the world of eurobeat. Producer Giancarlo Pasquini, also known as DAVE ROGERS, defined the eurobeat genre and is the brains behind most of the leading eurobeat groups. This cover of I Wan'na Be Like You is performed by one of Pasquini's groups, ACE WARRIOR. Their sound differs from other eurobeat groups as they use electric guitar for a heavier sound. You can find this track on EUROBEAT DISNEY 3 , which you'll have to pay a pretty penny for if you want it imported from Japan. 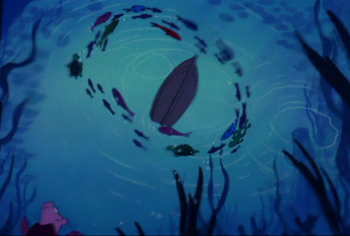 Over the years, many musical artists have paid tribute to the music of Disney. This webpage pays tribute to those artists. You won't find any originals Disney songs here, these are all covers, interpretations and variations on the tunes we all love. 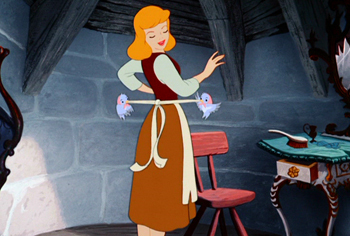 Covering the Mouse is not associated with Disney or any major record label. If you wish to have one of the tracks removed, please email me and I will be happy to accommodate.